Martin Starr was born on July 30, 1982 in Santa Monica, California, USA. He is an actor and producer, known for Freaks and Geeks (1999), Party Down (2009) and Silicon Valley (2014). Javier Botet was born on July 30, 1977 in Ciudad Real, Spain. He is an actor and director, known for It (2017), The Mummy (2017) and The Conjuring 2 (2016). Molly McCook was born on July 30, 1990 in Los Angeles, California, USA as Molly Jane McCook. 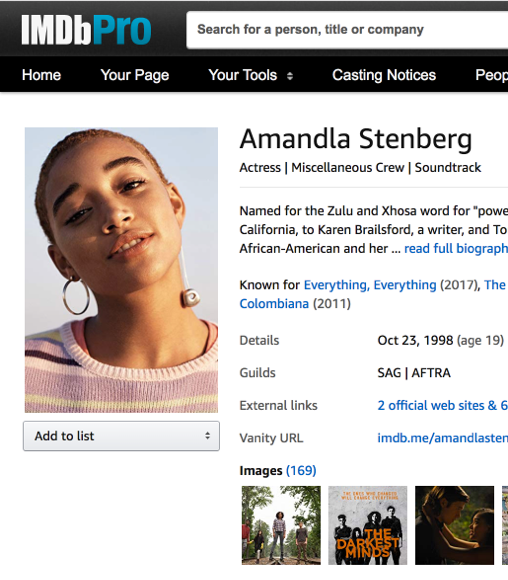 She is an actress, known for Last Man Standing (2011), Good Trouble (2019) and The Ranch (2016). Frances de la Tour (born 30 July 1944) is an English actress, known for her role as Miss Ruth Jones in the television sitcom Rising Damp from 1974 until 1978. She is a Tony Award winner and three-time Olivier Award winner. Phil Davis was born on July 30, 1953 in Grays, Essex, England. He is an actor and director, known for Vera Drake (2004), Bleak House (2005) and Alien³ (1992). He has been married to Eve Matheson since 2002. They have one child. Jacob Seth Lofland was born in Briggsville, Arkansas, to Debra and Billy Lofland. Grammy and Golden Globe nominated artist Frank Stallone is an actor, singer and musician. Sofie Gråbøl was born on July 30, 1968 in Denmark as Anne Sofie Gråbøl. She is an actress, known for The Killing (2007), Flickering Lights (2000) and Nikolaj og Julie (2002). She was previously married to Jacob Thuesen. Derek Waters was born on July 30, 1979 in Baltimore, Maryland, USA. He is a writer and actor, known for Hall Pass (2011), Drunk History (2013) and Drunk History (2007). Eccentric looking Chinese-American actor with a slightly drooping face (the result of a bout of Bell's palsy) who studied political science, art & journalism before becoming a news reporter for a San Francisco public TV station in the late 1960s. Julia Ragnarsson was born on July 30, 1992 in Malmö, Skåne län, Sweden. She is an actress, known for Stockholm Stories (2013), Tillbaka till Bromma (2014) and Wallander (2008). Gina Bramhill was born on July 30, 1989 in Eastoft, England. She is an actress, known for Sherlock (2010), Brief Encounters (2016) and Made in Dagenham (2010). Michael Bell was born on July 30, 1938 in Brooklyn, New York City, New York, USA. He is known for his work on The Transformers: The Movie (1986), Metal Gear Solid 3: Snake Eater (2004) and Sonic the Hedgehog (1993). He has been married to Victoria Carroll since January 1, 1968. They have one child. Jerry Jewell was born on July 30, 1976 in McAlester, Oklahoma. He is an American actor, singer, and voice actor working for Funimation and OkraTron 5000. He has provided voices for a number of English versions of anime. If you've ever watched an anime, it's very likely you've heard his voice. A staple of American stage, screen, and television for over 30 years, Victor Slezak hails from Youngstown, Ohio.